National Poetry Day on October 2nd saw members of the Poetry By Heart team hit the road in search of some poetry inspired adventures. 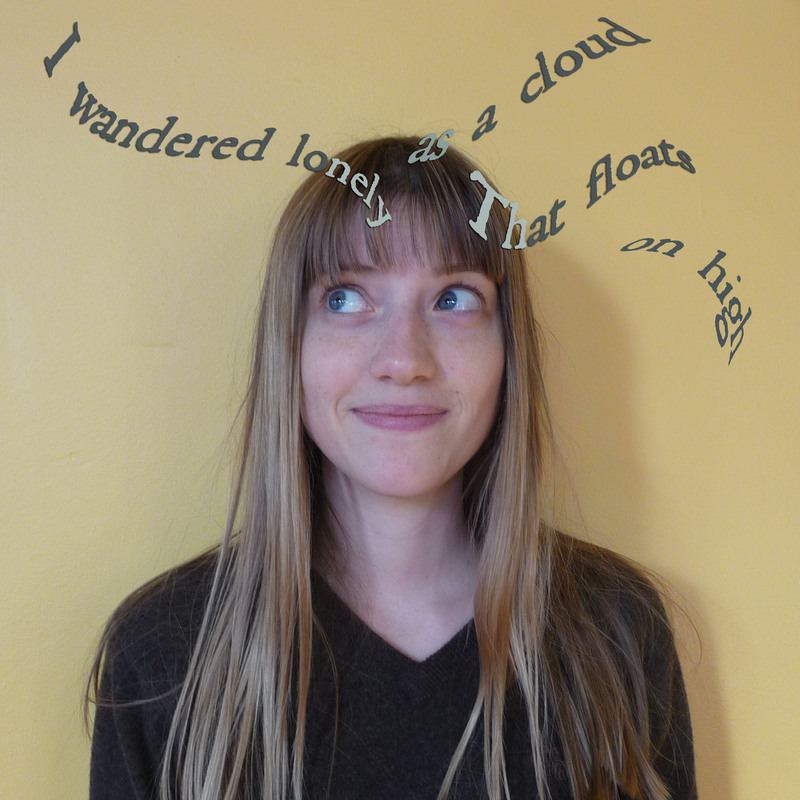 Poetry pilgrims Alison Powell, Kath Lee and Tom Boughen share some tales below. Alison Powell (Regional Development Coordinator for the South West) organised an innovative “Poetry Podium” event in Bristol. How do you make a three-year-old, a distant relative of Andrew Marvell and a retired dancer from Bristol happy? By giving them the chance to read poetry in public apparently. 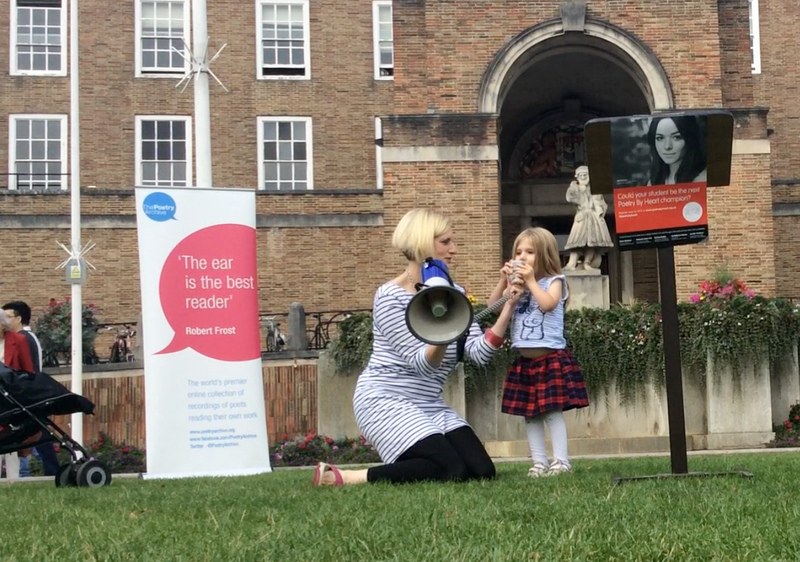 To celebrate this year’s National Poetry Day the South West contingency of PBH came up with the Poetry Podium, a flash-mob-style, open-air event in which members of the public were encouraged to join us on College Green in Bristol and read their favourite poem out loud. And by loud, I mean really loud. As in, through a megaphone loud! Robert Frost claimed that poetry has a ‘sound of sense’ and can ‘communicate through its sound even before we grasp its semantic meaning.’ The sound of poetry blasting across the city centre’s favourite picnicking spot brought smiles, laughter and, when Keith Walker read his eulogy to his wife and dance partner, a few poignant tears. Tim Popple, director of music at Bristol Cathedral, delighted us with ‘Bermudas’, chosen because of his relation to poet Marvell. And three-year-old Autumn sang to us that famous 19th century poem ‘The Star’ by Jane Taylor (aka ‘Twinkle, Twinkle’). On the last two National Poetry Days, I have found myself at a celebration in the heart of London, hobnobbing with a group of talented and passionate people. Last year we launched Poetry By Heart on National Poetry Day (within a week of me starting this job!) 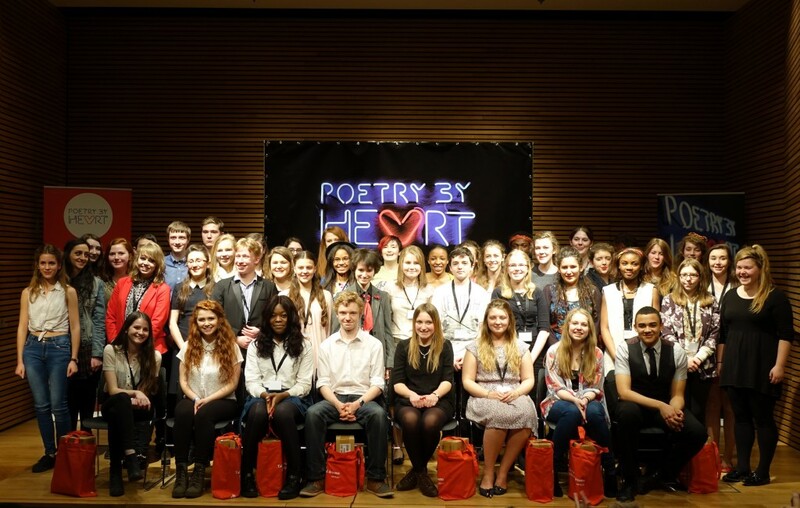 This year I travelled down to the Southbank Centre in London with Julie Blake the co-director of Poetry By Heart for the Foyle Young Poets awards and subsequent poetry readings. It was a celebration of both young and established poets, with classic and contemporary styles. I won’t lie; the Foyle group of youngsters made me feel very old! 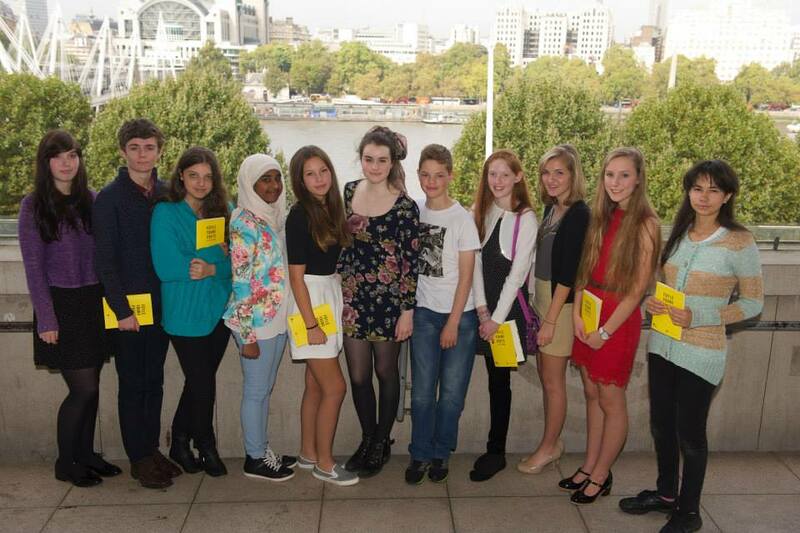 The young poets had been selected from thousands of entries from around the world and the fifteen deserving winners read their work at the awards. I’ve got a decade on most of them and the level of maturity and sophistication in their poems surprised me. It’s given me a strong reminder that I should no longer be amazed by the talent of teenagers, especially after working with Poetry By Heart! 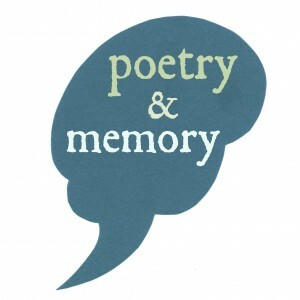 We’re well aware that lots of our PBH students also have a talent for writing, and it would be great to see some familiar faces at the Foyle Young Poets awards in the future. One of the best things about the day was the encouragement of children and teenagers to engage in poetry. Local schools were invited to listen to readings by John Hegley, Julia Donaldson (writer of the classic ‘The Gruffalo’), and some cool contemporary poets like Hollie McNish, Dizraeli, Ross Sutherland, Raymond Antrobus and Joelle Taylor. They understood their audience, and some of the children watching seemed young enough for this to be their first poetry reading. I’ve come to realise over the past year that one of the biggest challenges facing the world of poetry is convincing the public that it can speak for everybody and challenge conventional thought in the same way that people readily accept other forms of literature can do. 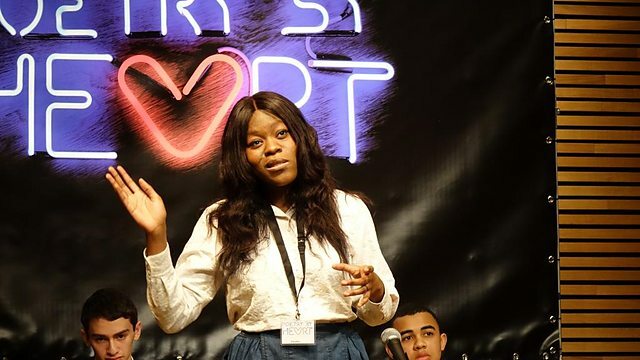 Involving children in these kinds of events is an excellent way of conveying from a young age the fact that poetry is universal, whether communicated on the page or in spoken word. That’s National Poetry Day for you! Kath Lee (Poetry By Heart Project Coordinator) navigated the magnificent new Library of Birmingham for the launch of the Poetry By Heart anthology and a memorable evening in the company of poet Jackie Kay. What better way to spend the evening of National Poetry Day than in the company of the wonderful Jackie Kay? Mike Dixon, (Poetry By Heart Regional Development Coordinator for the South East) and I accepted the kind invitation from our friends at Writing West Midlands to the opening event of this year’s Birmingham Literature Festival. It also marked the launch of the Poetry By Heart Anthology.